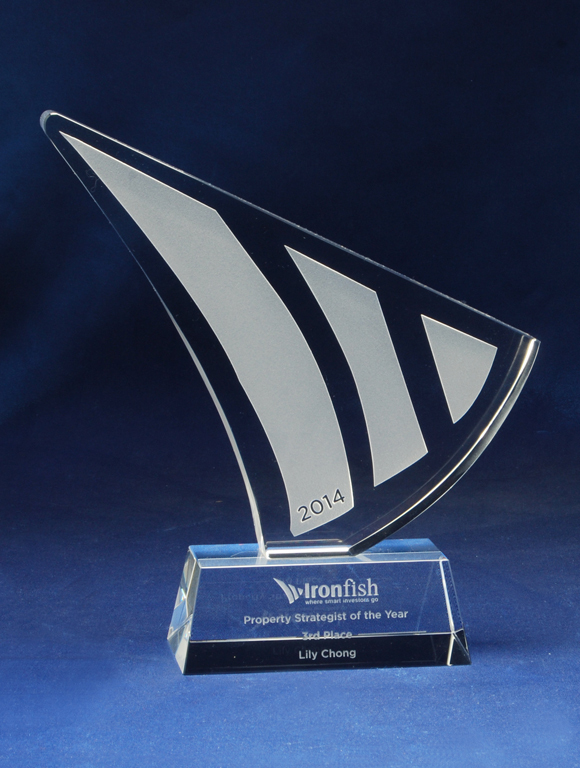 We can create custom shaped crystal awards in almost any shape. This example uses 30mm thick polished crystal on a custom crystal base.We can use a variety of engraving and printing methods to create a unique crystal award for your event. Our custom trophy service provides the solution for any bespoke award requirement.